Picture it: World-renowned archaeologist Lara Croft is spelunking her way through some old ruin, jumping across chasms and swinging from ropes and just generally trying to avoid being impaled on a spike. And then, at the heart of a dusty chamber, she finds it. Treasure, glorious to behold. It’s...an Nvidia GTX 980 Ti. Okay, this metaphor is breaking apart. The point is that Nvidia is back with another of its fabled “Spend a lot of money on one of our graphics cards and we’ll give you a free game” deals. 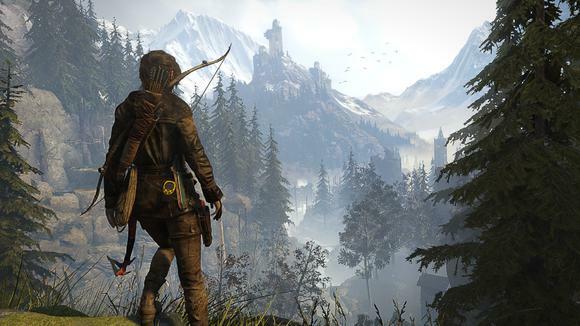 This time, as you might have guessed, it’s the as-yet-unreleased Rise of the Tomb Raider. The deal is limited to top-end cards, though. From now until February 16, anyone who purchases a GTX 970/980/980 Ti or a laptop with a 970M/980M/980 will receive a copy of Ms. Croft’s latest adventure, which drops on January 26. For more details, click here. 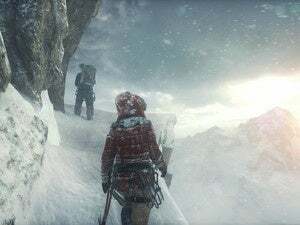 I’m a bit surprised to see Rise of the Tomb Raider as an Nvidia promotion, given that the original was a well-known AMD tech demo—the first-ever game to support AMD’s TressFX tech, in fact. But that’s all backroom business stuff, and I’m sure you’re not complaining. Anyway, it’s another good deal out of Nvidia for those who’ve been contemplating a new graphics card. We’ll keep you updated if AMD rebuttals, and be sure to look for our review of Rise of the Tomb Raider later this month.